Posted July 31, 2017 by Jenna & filed under KidLit Coffee Talk. Thank you for joining me for my inaugural interview on KidLit Coffee Talk! I’m thrilled to introduce you all to the super talented Melissa Stoller. Melissa and I first met through the 12×12 Picture Book Writing Challenge. Now, we have become critique partners, Clear Fork Publishing sisters, and more importantly, friends. Melissa and I sat down and chatted over coffee about her debut chapter book, Return to Coney Island. This is the first book in The Enchanted Snow Globe Collection Series, illustrated by the equally talented Callie Metler-Smith and published by Clear Fork Publishing. I’m drinking my usual Dunkin Donuts cold brew iced coffee. What kind of coffee (or tea) are you drinking right now? First, thanks so much Jenna for hosting me on your blog! I love your blog title and I’m honored to be a featured guest, as well as to call you my friend, critique pal, and Spork Sister! I also love coffee and tea. I only drink decaf, but I love a warm drink in the cooler months or a huge iced drink all summer! My friends are used to seeing me walk around New York City with a large decaf non-fat cappuccino. I also love chai tea with almond milk, and mint tea after dinner. My writing journey can best be summed up in two words: patience and perseverance! Over the years, I have worked as a lawyer, a legal research and writing instructor, an early childhood educator, and a freelance writer. When my first child was born in 1996, I tried writing picture books, and I received drawers full of rejections! (Looking back, those early drafts weren’t publication ready at all!). 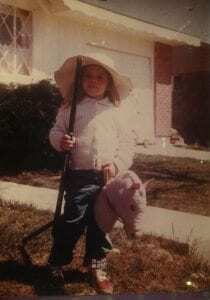 I joined SCBWI way back then but after I while, I put creative writing on hold. In the meantime, I co-authored The Parent-Child Book Club: Connecting With Your Kids Through Reading (HorizonLine Publishing, 2009), and I wrote many parenting articles. So I always kept my hand in writing and editing. A few years ago, I decided to try writing for children again. I started attending more conferences, took several excellent children’s book writing courses, and joined many groups including the 12 x 12 Picture Book Writing Challenge and the Chapter Book Challenge. 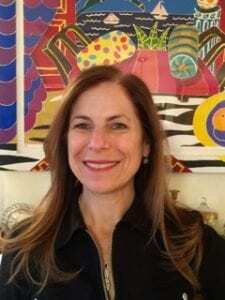 I also got more involved as an admin in The Debut Picture Book Study Group, as a Regional Ambassador for the Chapter Book Challenge, and as an assistant in a Children’s Book Academy class with Mira Reisberg. Also, I can’t say enough about the wonderful critique partners I am lucky to work with. I learn so much from them! Anyway, I wrote several PB drafts and got even more drawers full of rejections! And I wrote a chapter book draft. After a lot of patience and perseverance, I sent out more drafts, and one house I queried was Clear Fork Publishing. You can imagine my delight when I got a positive response from Callie Metler-Smith about my chapter book, that led to a submission of a full draft, then lots of back and forth, and then finally an OFFER! So I always tell writers to put in the work of honing their craft and also to be patient and have perseverance. That’s so inspiring! Tell me about your latest book. 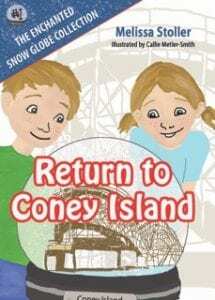 I am thrilled that my debut chapter book, The Enchanted Snow Globe Collection – Book One: Return to Coney Island, was just released! It’s the story of nine-year-old twins Emma and Simon, who think they are going to their grandmother’s house for an ordinary sleepover. Instead, they shake one of the snow globes from her collection, and are transported to Coney Island in 1928. After many adventures, including a ride on the famous Cyclone roller coaster, they encounter their great-grandparents. The twins must make sure their great-grandparents meet as they are supposed to on the Coney Island trolley . . . otherwise the twins may never be born! My inspiration for this story is the real-life meeting of my grandparents. My grandmother Jessie always told me stories of her childhood, and I begged for her to repeat the story of how she met Jack on the trolley. In the author’s note to my book, I explain how that meeting took place, and thank my grandparents, because if they had not met, I would not have been born, and this book would not exist today! And this book is extra special, because my publisher, Callie Metler-Smith of Clear Fork Publishing/Spork, is also the book’s illustrator! I’m so excited for everyone to see how her beautiful illustrations bring the characters to life! I can’t wait for my copy to arrive! What else are you working on? I couldn’t be happier that my debut picture book, Olive’s Magic Paintbrush, will be released by CFP/Spork in March, 2018. It’s a fun story about art and creativity. And I have many other manuscripts that I am revising and polishing (and as one of my trusted critique partners, you have been such a joy to work with in that process!). I’m also working on the next book in The Enchanted Snow Globe Collection series . . . it’s called The Liberty Bell Train Ride, and it features Emma and Simon shaking another snow globe from their grandmother’s collection. This time, they travel to Philadelphia and San Francisco, to help the Liberty Bell get back on track. I can’t wait to see where else this time travel adventure series takes me! Awesome! Speaking of picture books, what’s one picture book you loved when you were little and a recent one you love now? Wow, that’s a tough question because there are so many! When I was young, I loved The Little Engine That Could (looking back, I think I enjoyed the optimism it represented); Make Way for Ducklings (those little ducklings were so adorable, and who can resist sitting on their statues in Boston’s Public Garden?) and Madeline (I loved to take my three girls to the Madeline Tea at the Carlysle Hotel in NYC when they were younger). Recently, I have been loving all the great picture book written by my Spork Sisters! I completely agree, I love the books on Spork’s list. As an avid reader, I love finding out what others are reading. I’m currently reading An Ember in the Ashes by Sabaa Tahir. What are you reading right now? I belong to two book clubs. I started the first with a few friends when our oldest children were in pre-school together – and now our kids are 21! We have been together for 17 years! My other book club is also a long-standing group at my children’s school. Over the summer, I like to read light beach books, but I have to get started on my book club books! A few great books I read recently: All the Light You Cannot See, Last Days of Night, and The Underground Railroad. Thanks for having me here, Jenna. Thanks so much for joining me, Melissa! If you want to learn more about Melissa, you can find her at www.MelissaStoller.com (and check out her blog about Stories . . . Creativity . . . and Connection at www.MelissaStoller.com/blog). Connect with Melissa on Facebook at Melissa Berger Stoller, on Twitter @MelissaStoller and on Instagram @Melissa_Stoller. You have the chance to win a copy of Melissa’s book, Return to Coney Island! And in keeping with the coffee theme, I’m also going to throw in some Starbucks gift cards. To enter this giveaway, simply comment on this post and share it on Twitter. Then, click on the Rafflecopter below. A winner will be chosen at random on Monday, August 7th. Good luck! Posted July 27, 2017 by Jenna & filed under KidLit Coffee Talk, News. Hello to all of my friends in the KidLit world! Starting next week, I will be launching my all new blog, KidLit Coffee Talk! Combining my love of coffee and books, KidLit Coffee Talk will have interviews with incredibly talented children’s authors, top ten lists, reviews, and more. The interviews will consist of different authors sitting down with me for a virtual cup of coffee and chatting about their latest work. There may even be some guest posts by my reading-obsessed nine year old daughter. And of course, there will be giveaways! KidLit writers are some of the most intelligent and supportive people I know. I’m hoping to use my blog to give back to this amazing community. I know I wouldn’t be where I am in writing journey if it wasn’t for this group! Look for the first installment in KidLit Coffee Talk next Monday! And if you haven’t already subscribed to my blog, please take a minute to do so. Thanks, and have a great day! Posted July 9, 2017 by Jenna & filed under News. Yesterday, I had the privilege of doing a Story Time and Book Signing at my all time favorite bookstore, Where the Sidewalk Ends. It was something I dreamed of doing when I first began my journey as a writer. To see this dream come to fruition was something I’ll treasure forever. 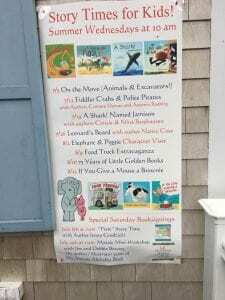 Located on Main Street in Chatham, MA, Where the Sidewalk Ends has something for everyone. There are two buildings – the main bookstore, which has everything from early readers to adult books and the Children’s Annex, which houses board books, picture books, and a variety of toys. It is owned by a mother and daughter, and they, along with the rest of the staff, are eager to help visitors find what they’re looking for. 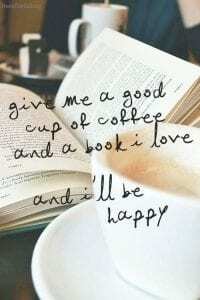 If they don’t have a particular book, they’re more than happy to order it. Where the Sidewalk Ends offers a variety of special events, both on and offsite. Wednesday mornings in July and August are designated story times, often featuring children’s authors. 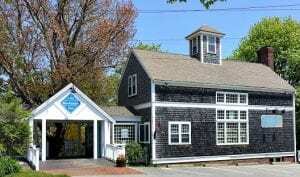 Throughout the summer, the bookstore hosts Literary Luncheons with award winning adult writers at the Wequassett Resort and Golf Club in Harwich. They also host a Young Readers’ Breakfast once a summer with a children’s author. 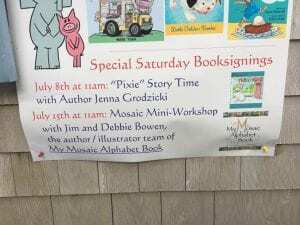 Last summer, my daughter and I attended this event and had the pleasure of meeting Sara Pennypacker! Additionally, younger readers have the opportunity to take part in one of the bookstore’s Fancy Nancy Tea Parties at the Captain’s House Inn in Chatham. When I reached out to Caitlin, one of the owners, to inquire about doing an event at the store, she was very open to the idea and happy to work with me to make it happen. She actually remembered my family from all of our visits to the store over the past 10 summers. If you are ever on the Cape, visit Where the Sidewalk Ends. I promise you won’t be disappointed! Posted March 14, 2017 by Jenna & filed under Pixie's Adventure. Pixie’s Adventure is now out in the world, and I couldn’t be prouder of my debut picture book. This is truly a dream come true. When I signed with my publisher over a year ago, I had to trust that they would find the perfect illustrator to bring my story to life. Enter Kerri Lockwood-Doody. Kerri has exceeded all of my expectations. Her watercolor pencil illustrations are absolutely gorgeous. When you open Pixie’s Adventure for the first time, I think you’ll fall in love with them as much as I have. Kerri was kind enough to let me interview her. Enjoy! JG: Tell me a little bit about yourself. Where are you from? What did you study in school? JG: Have you always wanted to be an illustrator? KLD: I have always loved gifting people with original pieces of art but illustrating books was not necessarily my first career choice. Over the years I have done projects here and there for friends and I have planned out certain projects of my own that I would like to do based mostly on songs that I have written for my children. It is very rewarding. JG: What other picture books have you illustrated? KLD: A friend of mine asked me to illustrate a book about how she adopted her daughter from Guatemala. She wanted her to know the story as she grew up. It was a black and white sketch book. I worked as a teacher’s assistant and each child received a birthday book (one page from each classmate) with an original paper cutting illustration of something that interested that child on the cover. When my husband published his first book (The Wonk Decelerator by John Joseph Doody) with eTreasures I volunteered little sketches for the chapter headers. The editor asked me if I was interested in doing children’s books. The first two projects that I did for them, however, were more like parent/teacher handbooks. The first was 31 Fun Ways to Increase Your Child’s Attention Span and the second, The Handy Dandy Quick Reference Teacher Guide for Working With Children With Academic & Behavior Problems (there’s a mouthful for ya!) both by Dr. Jackie Paxton. JG: What medium did you use for Pixie’s Adventure? Tell me about your illustration process for this book. KLD: Years ago I told my brother about a book I wanted to do from a song I wrote for my son’s kindergarten class called the Butterfly Garden. He suggested that I use watercolor pencils. I have had them around for years and never got to that project. When Pixie came into the picture I figured it would be a good time to give them a go. I learned a lot about them. The different brands are very different in how they work. I learned years ago how to plan out a project and I prefer tracing paper to computer programs at this point. I’m old school that way. I do the preliminary sketches on tracing paper and once they are okayed I transfer them to the watercolor paper on a light table. I hope to take a class that can help me on the computer drawing programs. Until then my blood pressure prefers the old way. Fortunately I had the perfect model for the part of Pixie and with my Sony camera and iPad I was able to get good reference pictures of her and the family members. The Internet was also extremely helpful with reference pictures for the different aspect of each picture. JG: What is your usual/preferred medium? KLD: I am most comfortable with pencil sketches which is why the watercolor pencils were a logical step for me. I enjoy layered paper cutting pictures and have done many as gifts. Someday I would like to try that for illustrating a children’s book. JG: What are some of your favorite picture books? KLD: My favorite picture books are those that I read as a child, of course. Go, Dog. Go! and all the Dr. Seuss books still rank high and the original Winnie The Pooh books by A. A. Milne with Decorations by Ernest H. Shepard are favorites. I love all of the Frances books by Russell Hoban, and anything illustrated by Maurice Sendak but my most treasured story book is The Velveteen Rabbit illustrated by Michael Greene. I’d like to have Charles Santore’s version of that as well. My favorite illustrator of children’s literature would have to be Garth Williams who illustrated the Little House series by Laura Ingalls Wilder, and I almost forgot Kay Thompson’s Eloise illustrated by Hillary Knight! (Now, who could forget Eloise!) I’m afraid I’m a bit of a hoarder so I could go on and on. There are so many out that are just treasures. I just gave away about 100 of my kids old books and I have at least that many left! JG: Thank you so much, Kerri! Posted March 3, 2017 by Jenna & filed under Just for Fun. The lovely and talented Vivian Kirkfield has challenged us kidlit writers to write a complete story using just 50 words. #50PreciousWords was inspired by Dr. Seuss’s Green Eggs and Ham, which only contains 50 unique words! To find out more about this fun contest, check out Vivian’s website and follow along on Twitter using the hashtag #50PreciousWords. My entry was inspired by my love of sweets. I hope you like it! They’re here! They’re finally here! I think I’ll have a few. Mom, where are all the Girl Scout cookies? Posted December 29, 2016 by Jenna & filed under News. 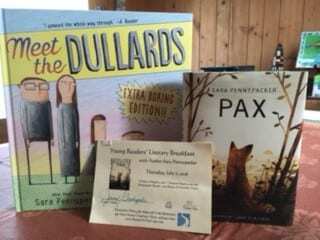 Children’s author Julie Hedlund, challenged participants of her 12 Days of Christmas for Writers series to post SUCCESSES (rather than resolutions) on our blogs this year. She believes the way New Year’s resolutions are traditionally made come from a place of negativity – what DIDN’T get done or achieved in the previous year. Instead, she suggests we set goals for the New Year that BUILD on our achievements from the previous one. I decided to participate in this Anti-Resolution Revolution! Here is a list of my SUCCESSES from 2016. 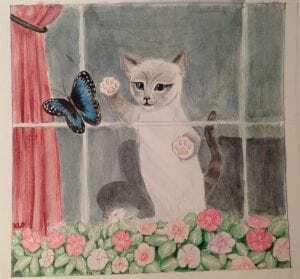 I signed a contract with eTreasures Publishing for my picture book PIXIE’S ADVENTURE. Publication is set for early 2017. I completed 4 new manuscripts and am in the middle of writing 2 additional manuscripts. I made countless revisions to several manuscripts. I attended the 2016 NESCBWI Conference in April and the WOW Retreat in July. Through these conferences, I met some amazing authors, editors, and agents, and have made some wonderful friends. I joined 12×12. I’m proud to be part of such a supportive group of writers! I took Kristen Fulton’s Nonfiction Archaeology Class in October and met another group of talented writers. I joined Rate Your Story for 2017. I submitted my first manuscript this month, and I got a 3!!! While I did not sign with an agent, I had several phone calls with one who really liked my writing. I also received a rejection from another who liked my writing and encouraged me to send her other work. I call that a win! I started writing book reviews for Story Monsters Ink magazine. I was selected to be a blogger for the American Association of School Librarians blog, Knowledge Quest. To date, I’ve published six posts for KQ! I was asked by the principal of my children’s school if I would do an Author Visit once PIXIE’S ADVENTURE comes out! As I mentioned above, I’ve connected with so many wonderful writers this year and made so many new friends. That is one of my biggest successes of the year! Thanks for sharing my successes with me. I hope 2017 will be an even more successful writing year! Posted November 15, 2016 by Jenna & filed under News. 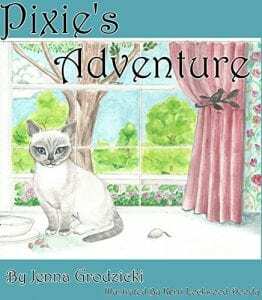 I am beyond thrilled to reveal the cover to my debut picture book, Pixie’s Adventure, from eTreasures Publishing. I’m in love with this cover, beautifully illustrated by the talented Kerri Lockwood-Doody. The release date is still being finalized. I will be sure to share the date once I have that information. I just can’t wait to hold this book in my hands. Thank you for sharing this special moment with me. Posted July 7, 2016 by Jenna & filed under News. 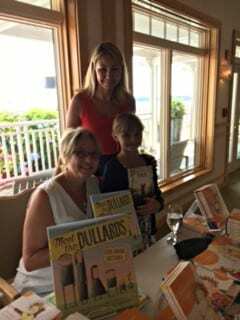 This morning, my daughter and I had the pleasure of meeting New York Times bestselling author Sara Pennypacker and hearing her speak. She shared what it is like to be a writer, “the best job in the world,” and a little about her books. 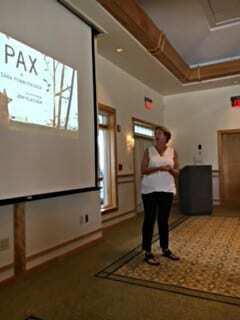 While she talked about many of her books, she primarily focused on Pax. If you have not read Pax yet, I suggest you drop what you’re doing and run to your nearest library or bookstore. Pax is the incredible story of a 12 year old boy named Peter and his pet fox, Pax. Peter is forced to release Pax into the wild, as his father has enlisted in the army and he is being sent to live with his grandfather. Not even a day goes by before Peter realizes he can’t live with the mistake of letting his beloved fox go, so he sets off on a journey to find him. Told from the alternating perspectives of both Peter and Pax, this story will affect anyone who has felt a strong bond with their pet. Sara also had a strong message to share about the importance of children’s books that deal with difficult topics. She eloquently stated that books are practice for real life, and what better way for children to practice dealing with difficult situations than through books? I couldn’t agree with her more! If you would like more info about Sara, you can visit her website www.sarapennypacker.com. 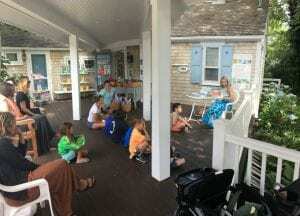 This Young Readers’ Literary Breakfast was put on by my favorite independent bookstore, Where the Sidewalk Ends, located in Chatham, MA. Visit www.booksonthecape.com for more information about this charming store. 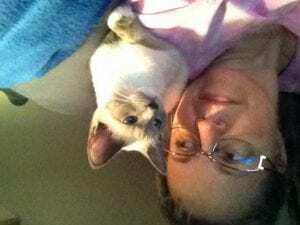 Posted April 22, 2016 by Jenna & filed under Pixie's Adventure. 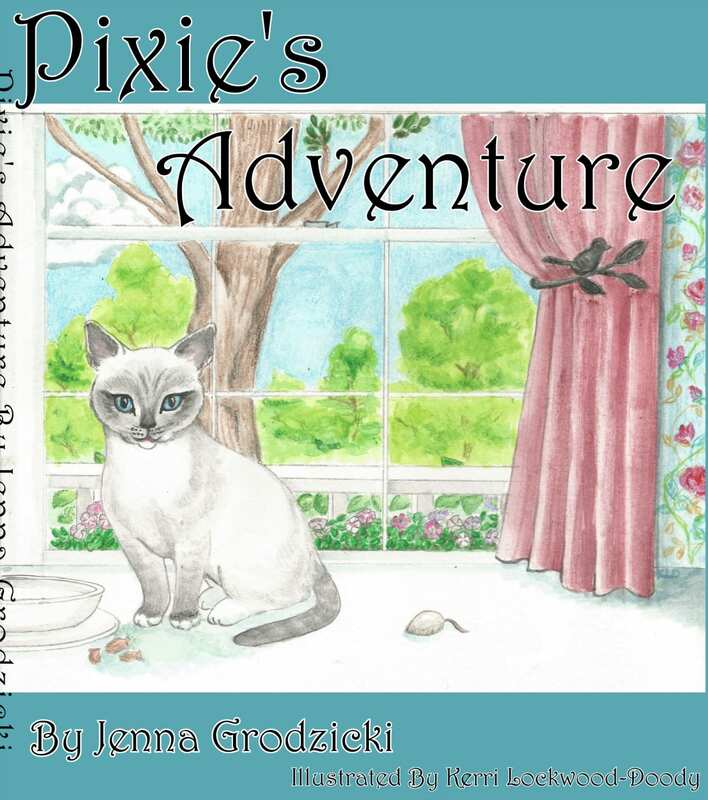 My debut picture book, Pixie’s Adventure, has been given a tentative release date – October 10, 2016. I keep pinching myself to see if this is real, and so far, I’ve yet to wake up! I’d like to celebrate by hosting my first giveaway. 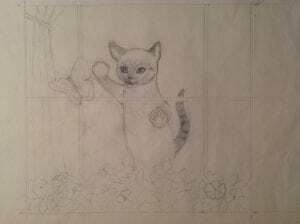 Pixie, my main character, is a super cute cat. 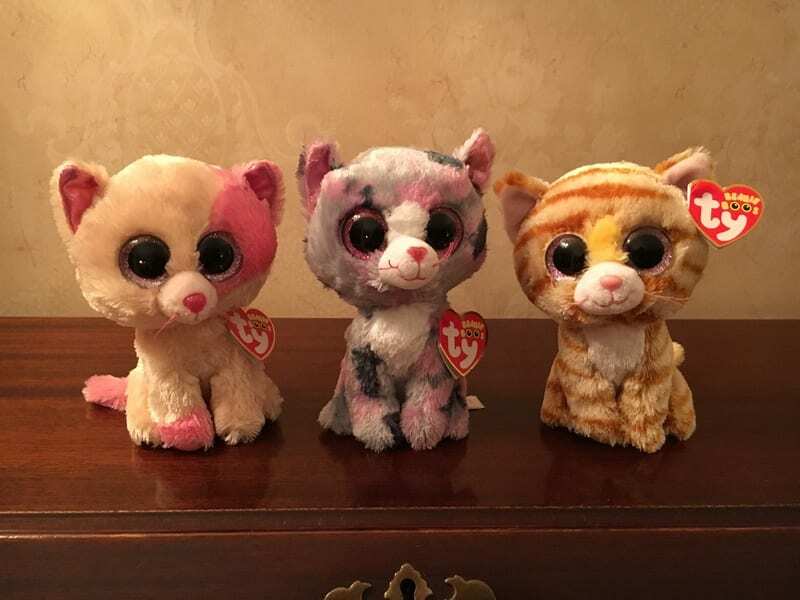 So, one lucky reader will be given the chance to get their hands on the three adorable Beanie Boo cats pictured below. And if that isn’t incentive enough for you, I will also include $20 in Starbucks gift cards. I will choose a winner on the evening of Sunday, April 24th. The winner will be announced on Twitter. Good luck, and thanks for participating in my first giveaway! Posted March 23, 2016 by Jenna & filed under News. I’m thrilled to share some information with you all regarding a brand new writing contest that is coming soon! 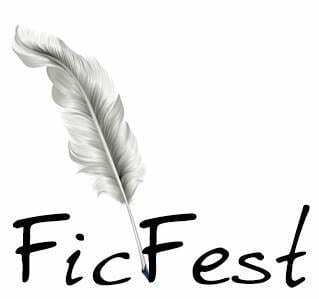 #FicFest, created by the talented Tiffany Hofman, is a writing contest unlike any you have ever seen. How is it different, you ask? Not only is #FicFest geared towards writers of ALL genres, but an equal number of manuscripts from each genre will be chosen for the agent round. Amazing, right? Keep reading to find out more details! #FicFest mentors are structured into fifteen (15) teams. Each category listed above has three teams. Each team is comprised of a team leader, and two (2) team members. Once the submissions open, each team will choose three (3) finalist manuscripts and one (1) alternate manuscript to advance to the agent round. This means that an equal number of manuscripts for each category will move to the agent round, guaranteeing that one category does NOT overpower another when it comes time for the agents. Agents are being added every day and while I can’t give you a solid number, I can tell you that we have close to two dozen confirmed to participate in our agent round and we can’t wait! #FicFest Theme – THE WORLD TOUR! The yearly theme for this contest is just for fun. It gives the mentors something to use to decorate their blogs, and gives the participants cool team bragging rights. HOWEVER, the yearly theme DOES NOT affect what genres can be submitted or the agent round. Again, themes are just for fun! 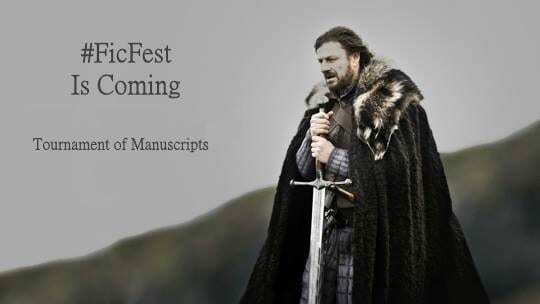 #FicFest is a contest for polished, query ready manuscripts ONLY. If your manuscript is a first draft, and is not ready to query, please hold off on submitting this year. If you are chosen as a finalist, your manuscript needs to be ready to send to agents when they request during the AGENT ROUND. I hope you’re all as excited as I am for this one of a kind contest! If you still have any questions, check out Tiffany Hofmann’s website or blog. I’d LOVE to hear from you! Comment below and let me know if you’re planning on participating! I wish everyone the best of luck!